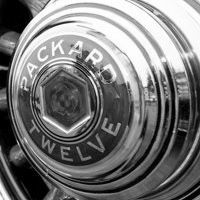 When one is invited to share ones automobile thoughts with a French blog about American cars one should always leap at the opportunity. 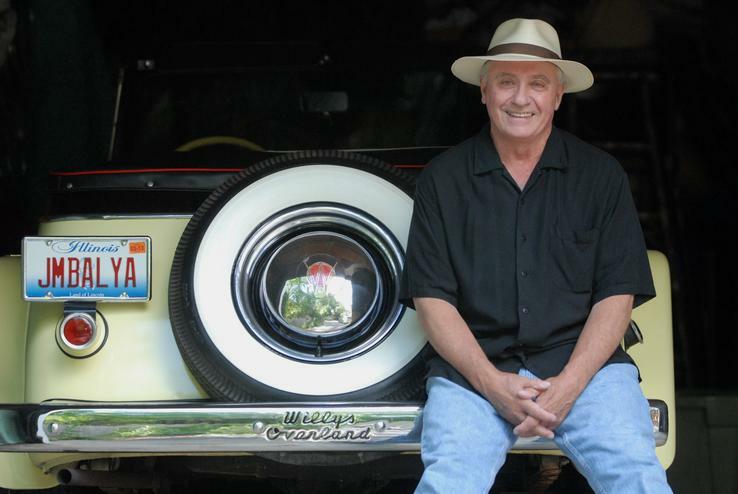 My first car was a used two door Chevrolet Corvair. It was chosen by my parents because they knew I couldn’t hurt myself with an under powered car like that. One day on a long drive it stopped running. The towing and repair costs greatly exceeded it’s value and it was sold as scrap. I saved some of my summer job money and bought a wonderful car. It was a yellow 1961 Ford convertible with a black top. It was a perfect cruiser. My Dad had a 1961 Ford station wagon, he may have been jealous. I was drafted into the army in 1967 and that car was sold. When I was going to college in 1966 I saw a movie. I remember correctly or incorrectly the name of the film was, Detour. It starred Jean Paul Belmundo and a TR4. When I got out of the army the car I had to have was a red TR4. That still is probably my favorite car. I had it until a couple 1960’s Oldsmobiles ganged up on it on the highway turning it into junk. 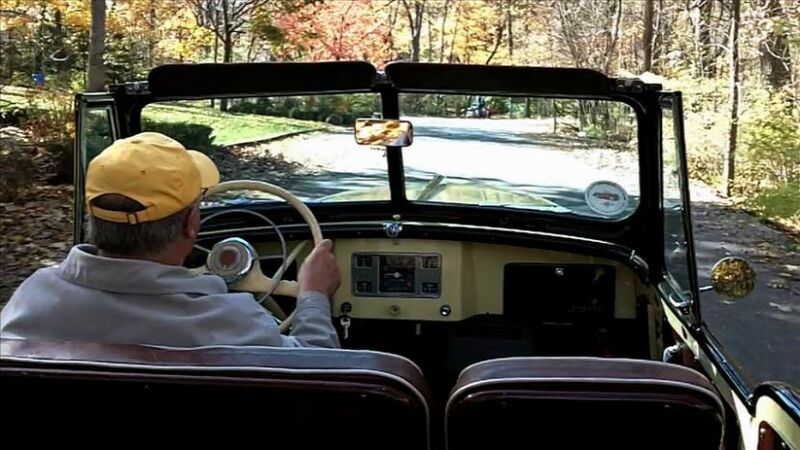 Lucky for me the TR4 had seat belts and I was wearing them. It could have been very bad. I replaced my TR4 with a 1967 International Travelall. Something bigger than the average Oldsmobile. It had 2 gas tanks and burned gas like it was free but now I was big and rode tall. This was fine until our energy crisis here in 1974. I traded my Travelall for a 1974 Ford Pinto wagon. This car had the 2.5 liter engine, 3 speed, it was peppy and useful. At that time I started working for Xerox Corporation as a copier technician with a new company car every 2 years. Owning my Pinto made no economic sense so it was sold. My company cars were, 1975 Chevelle Malibu 2 door, 1977 yellow 2 door Impala and finally a 1979 Ford LTD. I have a Fine Arts degree in Industrial Design and I was coming to the realization that I did not fit in the Xerox world. So I left. I taught myself how to work with neon and still not being any kind of a corporate person managed to get several 2 and one man art gallery shows. At this point I was hired as a part time art instructor at the local junior college. Fortunately Fermilab is very close by and I was able to get an artist in residence grant to create a large scale temporary light sculpture tangent to the mile diameter atomic accelerator. I used a dozen carbon arc searchlights to make a parabolic shape in the sky. At this time I was driving a 1974 Spitfire. It was turning the streets brown with it’s trail of rust. The Parabola Project as I called it was almost impossible to top so it was time to become a parent. As an artist, not being much good at anything awfully important I was a stay at home Dad. It worked out well. A man is well suited for maintaining a house. The wife worked and we seldom had to hire a service person to fix anything. 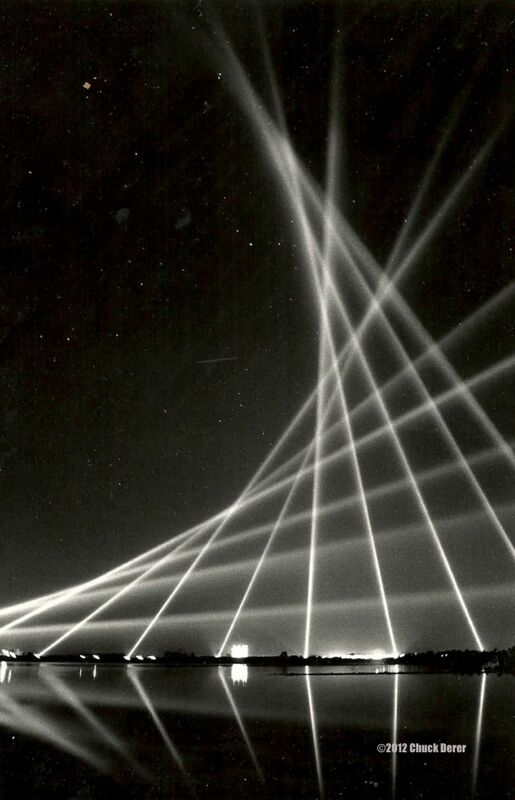 The Parabola light sculpture stood 1 mile tall and lasted for about 3 hours. 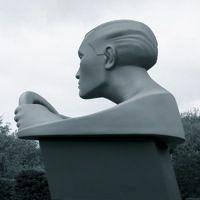 It is estimated that 25,000 people attended. In 1996 I got together with a retired architect by the name, Roy Goodpasture. He was my cameraman, I was the producer, director, writer and what ever else was needed. At the time my automobile was a 1988 Ford Taurus station wagon with the optional rear facing 3rd seat and roof top carrier. This was the perfect equipment and camera car. Roy would sit in the back with the rear hatch open eventually being referred to as Tail Gunner Roy. 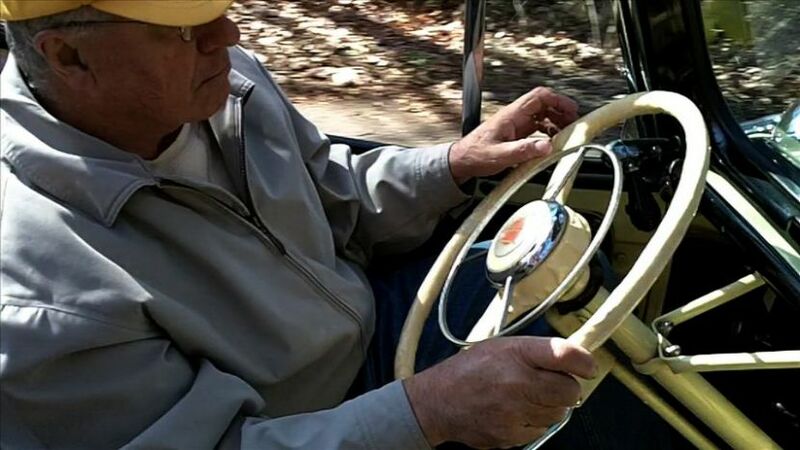 Roy was able to get frontal driving shots of Classics, Hot Rods, German, French, Czech and English cars. Having grown up with big American iron I have always been a little more interested in non American cars. I guess I take many of our cars for granted and also there are a number of popular Car Shows on TV already that feature American muscle. Be that as it may you can see on my YouTube channel, Chevys, Fords and Chryslers, as well as a number of Orphan cars and trucks. Getting back to my rusty Spitfire, when we became a family it was too small so it was sold. 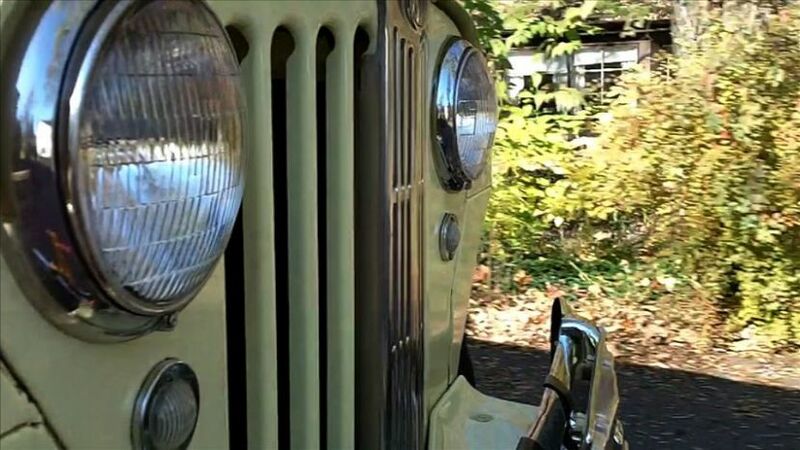 It”s replacement is a 1948 Willys Overland Jeerpster in yellow and black. I was surprised to learn that it’s design was based on European roadsters that American GI’s had become familiar with during WWII. 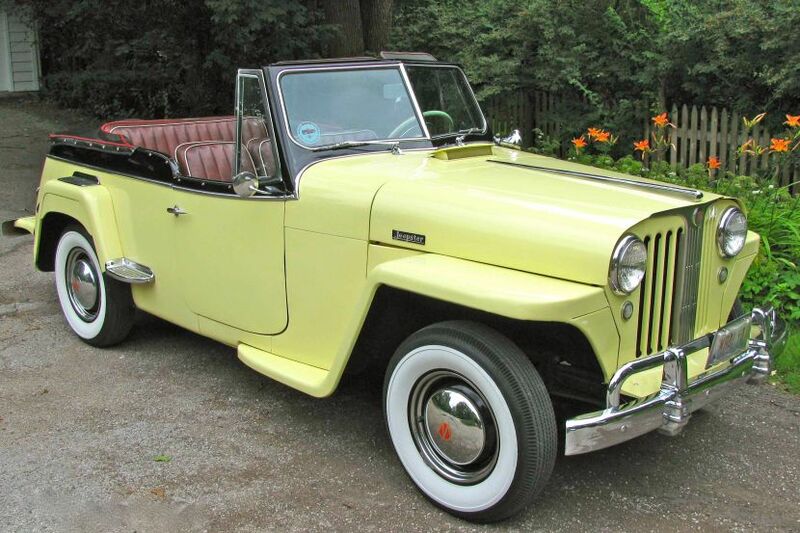 It is a design combination of European roadster and army jeep and drives with the sportiness of a pick up truck. I love it though. It is a usable antique that when the weather is good can run errands. It always gets noticed and for political reasons is not a Ford, Chevy or Chrysler. Car people occasionally become too brand loyal so this keeps me out of that fray. Here are some photos. 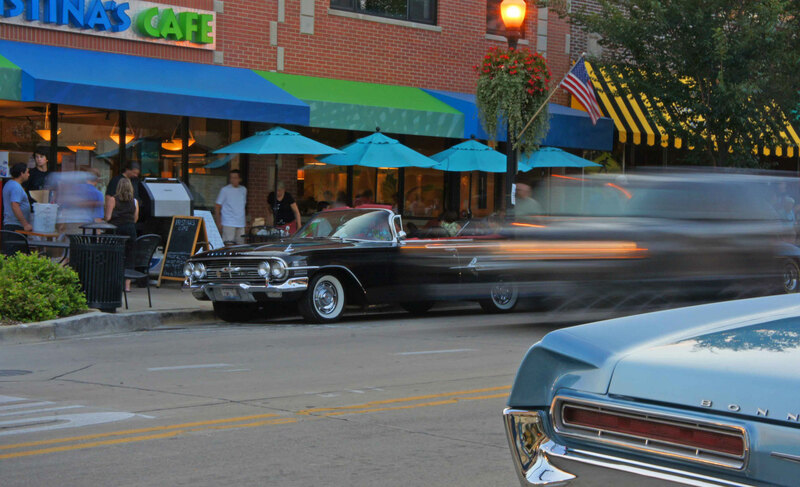 The 60 Chevy was from last night in my town of Downers Grove. The Fat Ford, Charger, Corvettes, were shot at various times during the summer in Downers Grove. 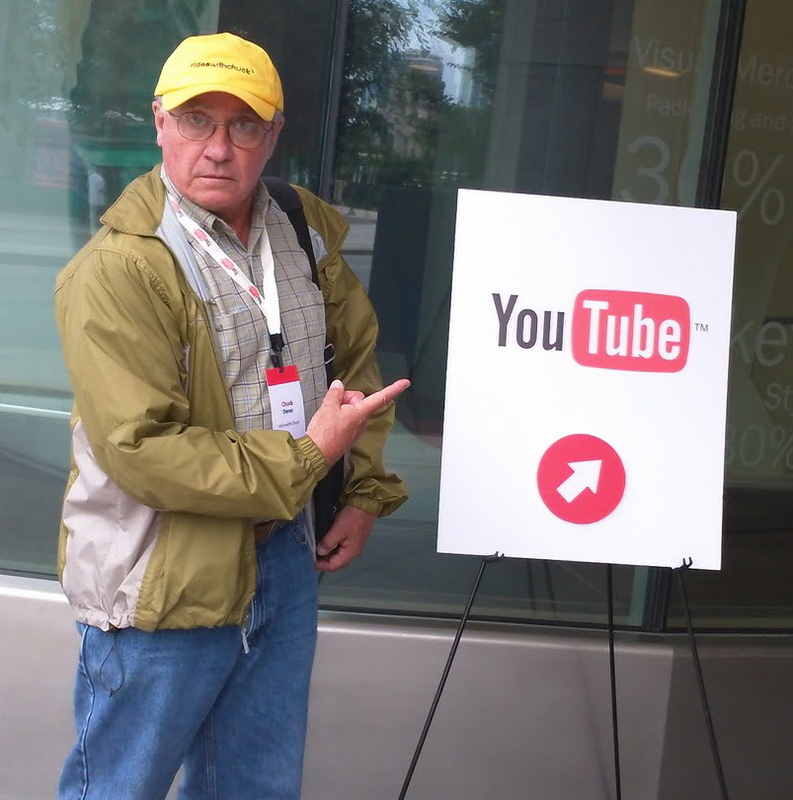 How do I choose a car to put on my YouTube channel ? That’s easy. I have to find it interesting, what ever that means. 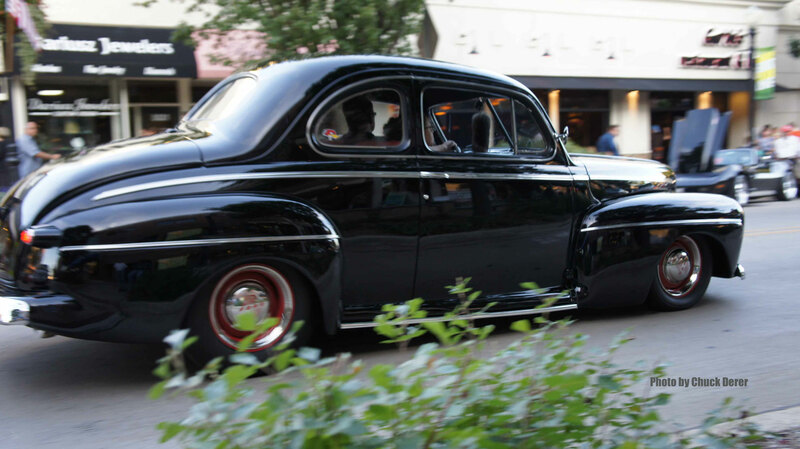 Lucky for me our town has had a very successful Friday night car show for the last 2 decades. Many wonderful cars and trucks have made appearances. Sometime I don’t always understand a car at first. Take for instance the Checker Cab on my channel. At first I would pass it by but I soon noticed that almost always there was a large group of admirers around the car. I finally stopped and spoke with the owner expanding my knowledge of the American automobile. I guess in everything that is documented on my channel I am learning something and in turn maybe my viewers are learning something. 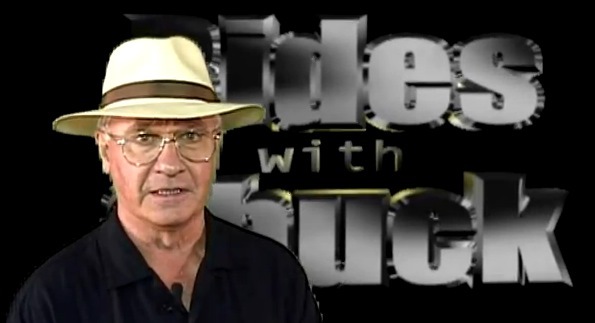 My YouTube channel RidesWithchuck. Let's go for a ride ! 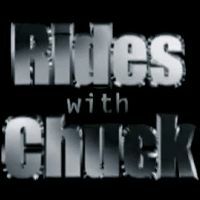 My Blog « Rides With Chuck ». Just for photos !